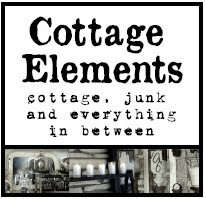 Cottage Elements: Thank you!! Thank you!!! I had to take the time to give a big "thank you" to all the response I received from my last post, both publically and privately. I am overwhelmed and my heart is full. Your comments have been amazing and so supportive. And rest assured, I will continue to blog and share. I've got lots coming up, and I know the future looks bright. This blogging community is amazing...to say the least. Again, I'm so glad to have shared my heart with you. You're the best! I think it is the concensus...that most feel the same way, that borrowing inspiration is ok but giving credit where credit is due makes it a win win. It's not only photo borrowing that can be a cause of frustration. We've worked hard for 7 years to build a successful event in our community. We've noticed at least 4 events from 4 different states (that we are aware of) that have "borrowed" the same event name as ours...in similar or exact version. At least 3 of them were familiar with us prior to choosing their event name. It's complimentary at first thought but soon feels a bit invasive. 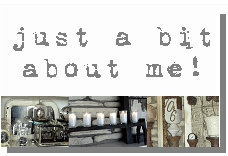 Your blog, your photos, and your talent are very much appreciated, Lani!! Keep up the good work! Hi! I love your style. 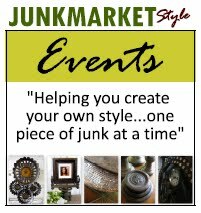 Just wondering if you have a pintrest account? I'd love to follow you.